BOSWELL, James. 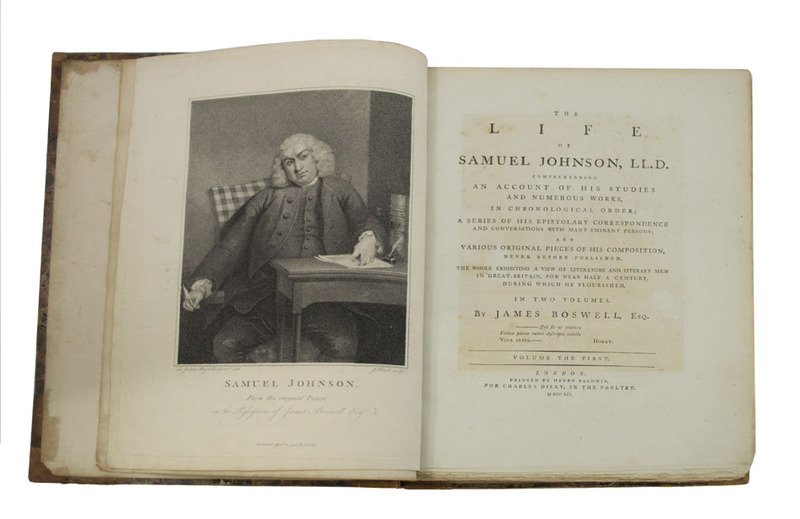 Life of Samuel Johnson, LL.D. Comprehending an Account of His Studies and Numerous Works, in Chronological Order; a Series of His Epistolary Correspondence and Conversations with Many Eminent Persons; and Various Original Pieces of His Composition, never before published. The whole exhibiting a view of literature and literary men in Great-Britain, for near half a century, during which he flourished. In two volumes. London: Printed by Henry Baldwin, for Charles Dilly , 1791. First edition, first issue, with “give” spelled “gve” in line 10 on p. 135 of Volume I and with all of the peculiarities cited by Pottle for the first issue, including the several uncorrected errors listed for Volume II and the various cancels. 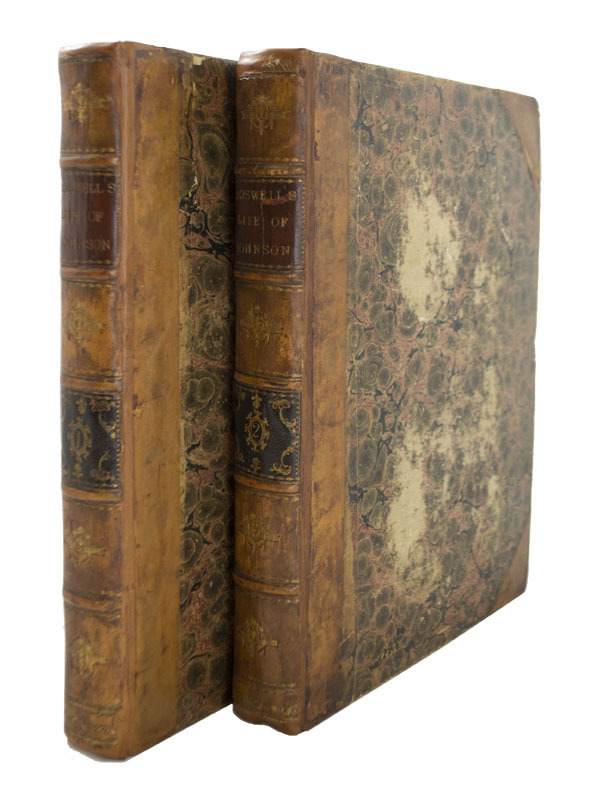 Two quarto volumes (11 3/4 x 9 1/16 inches; 297 x 230 mm. ; the same dimensions Pottle gives for 'an entirely uncut copy' ). xii, , 516; , 588 [i.e., 586] pp. Engraved frontispiece portrait by James Heath after Sir Joshua Reynolds in Volume I, two engraved facsimile plates in Volume II. 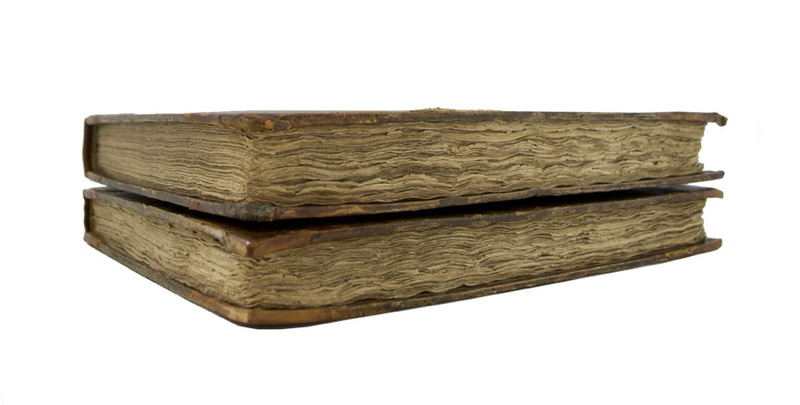 Bound without the front blank in Volume II. Courtney & Nichol Smith, pp. 172-173. Grolier, 100 English, 65. Pottle 79. Rothschild 463-465. Sterling 71. Tinker 338.